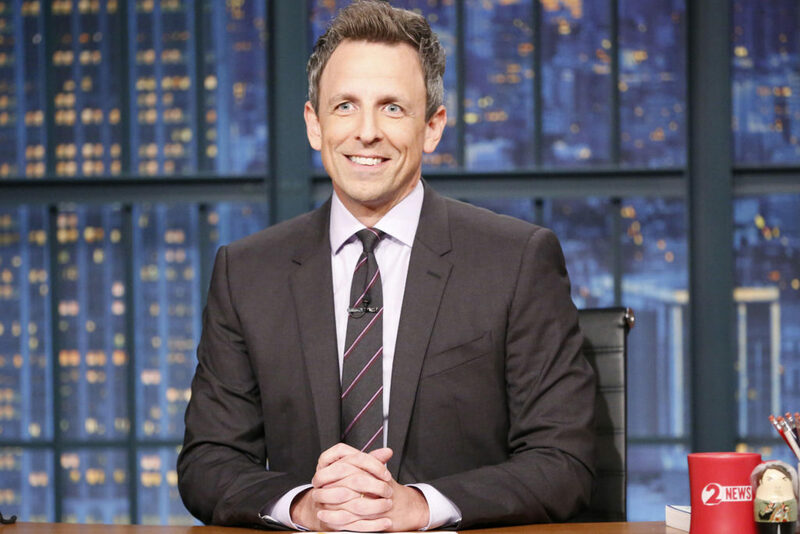 Following in the steps of some of television’s most talented hosts (Conan O’Brien, Jimmy Fallon), Seth Myers brings his clever brand of comedy to Late Night. 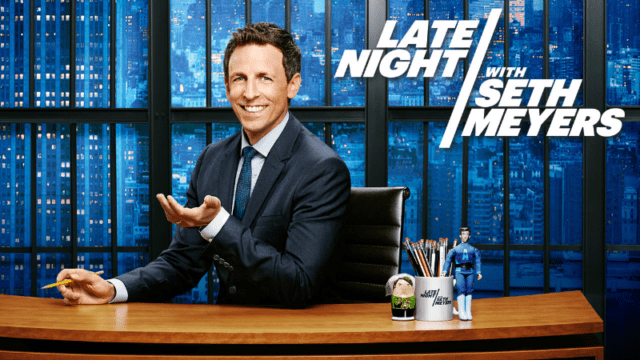 Formerly a cast member and head writer at Saturday Night Live, Seth Myers brings his many talents to a late night slot that has a lot of room for fresh ideas. 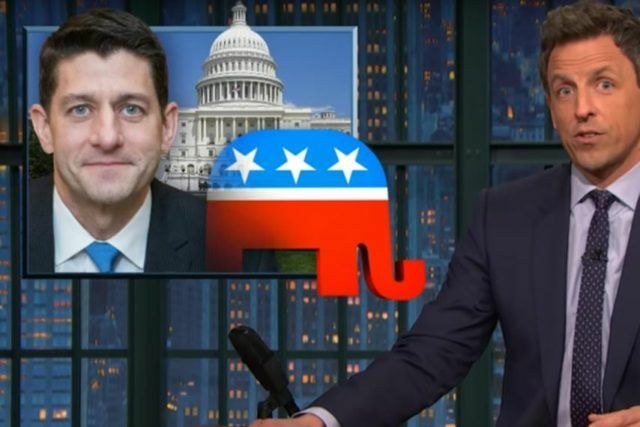 With his signature monologue and sharp newsy segments like “A Closer Look,” Seth Meyers hilariously breaks down the day’s biggest stories and takes the current political circus head-on. He then welcomes Hollywood’s most beloved A-list guests, as well as people not seen anywhere else in late night, like political figures and other interesting newsmakers. With fan-favorite comedy segments that become viral sensations, and the talented 8G band at his side, Seth consistently brings home the last laugh. The series is the fourth incarnation of the Late Night franchise, originated by David Letterman. Meyers was appointed host when Jimmy Fallon was announced to become the next host of The Tonight Show (currently The Tonight Show Starring Jimmy Fallon), where he succeeded the previous host Jay Leno on February 17, 2014. Meyers’ first guests were fellow SNL alum and Weekend Update co-anchor Amy Poehler, Vice President Joe Biden, and musical act A Great Big World. The show’s house band, The 8G Band, features members of the indie bands Les Savy Fav and Girls Against Boys, and is typically led by SNL alum Fred Armisen. Every episode features a coffee mug on Meyers’ desk from a different NBC affiliate. Want to be Part of the Late Night Show Audience? 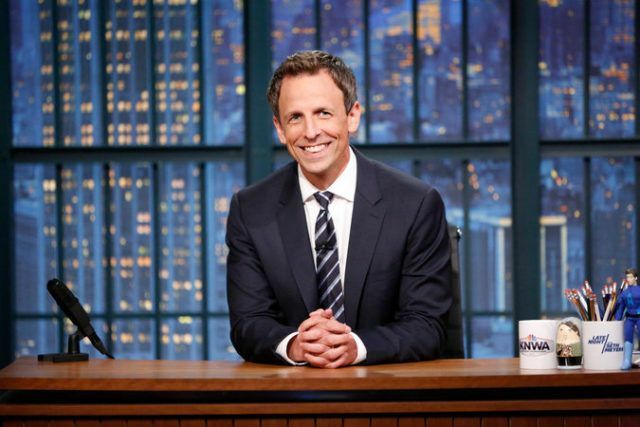 Be a part of the exclusive late night show with Seth Meyers. Millionaire’s Concierge can put you right in the middle of the action. Contact us through the form at the right, or call us today to find out more about the late night with Seth Meyers. Can I get merchandise from the show? Depending on the show, we can hook you up with exclusive swag.